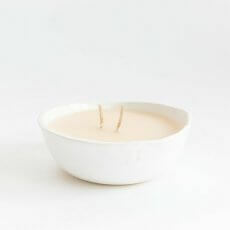 Beautiful natural soy candle in a stunning little handmade ceramic bowl. 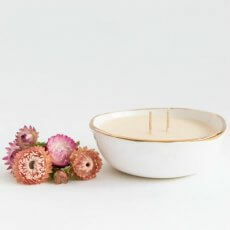 No two candles are the same, each one is handcrafted with love and attention to detail. 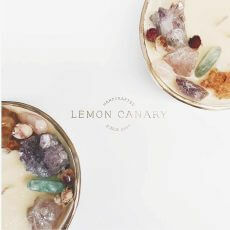 Please visit Lemon Canary’s scent guide for a complete list of scents. Approx. 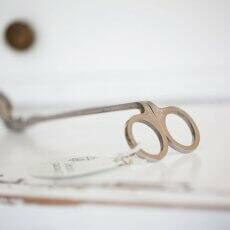 85g (approx 3-3.5cm high, 9.5cm wide). 20 hrs+ burn time. 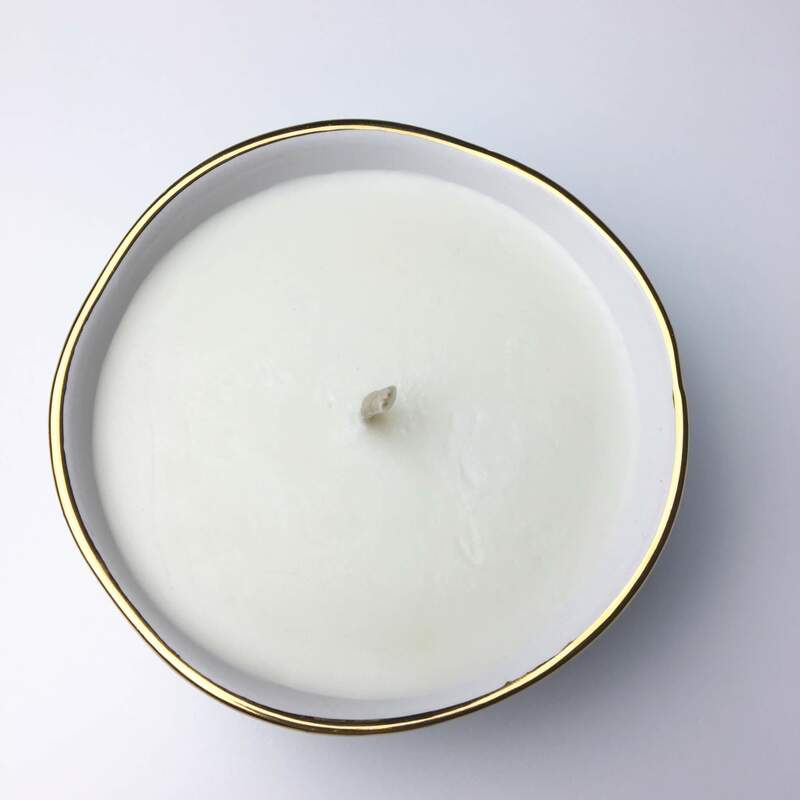 The natural soy wax in this beautiful candle is cosmetic grade, certified kosher and genetically unaltered… there’s no beeswax, petroleum, paraffin, plastics, toxins, pesticides or herbicides… guaranteed. Our waxes come from sustainable farming and they are a renewable resource that can be replaced at the same rate or faster than can be consumed without damaging the ecosystem. 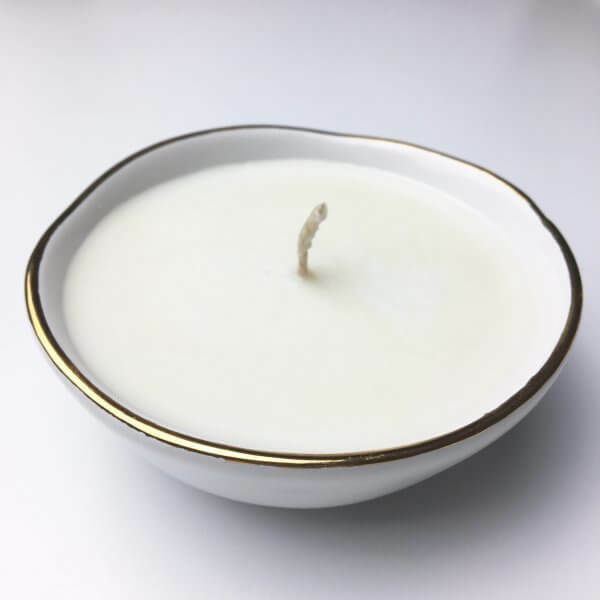 This natural aromatherapy candle is made with organic ingredients, premium pure cotton wicks (zinc and lead free) and burns 25-50% longer than some paraffin wax candles. 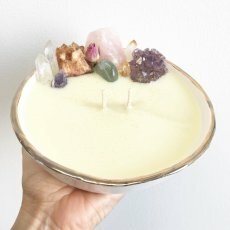 Lovingly hand poured in small batches this candle is designed for your health and well-being. It’s detoxifying and safe around pregnancies, babies and pets. We use no chemical additives to make our candles look perfect every time… we prefer natural. 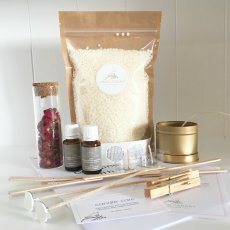 Australia | Eucalyptus, Lemon Myrtle, Niaouli & Sandalwood, Dinner Party | May Chang, Basil & Lime, Dream | Lavender, Chamomile & Frankincense, Grateful | Ylang Ylang, Geranium, Lime & Rose Otto, Happy | Wild Orange, Clary Sage & Lemon, Love | Rose Otto, Ylang Ylang, Orange & Patchouli, Meditate | Cedarwood, Frankincense, Lavender & Myrrh, Unscented, "I'd like a different scent from your Scent Guide." | Please type the scent name below. Intentional Soy Candle Bowl – Design Your Own. Add A Personal Touch. 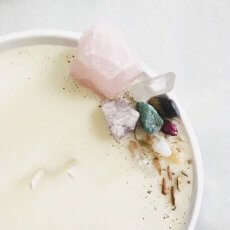 What Botanicals Or Crystals Will You Choose?